Yarn: chunky throw (worsted mohair + dk): 1200 yds each; superchunky afghan (bulky mohair + worsted): 900 yds each You might recognize the humble knitted 'dishcloth' pattern (original author unknown)–we borrowed the bobbly picot edge from one of our favorite baby blanket patterns and scaled it up. 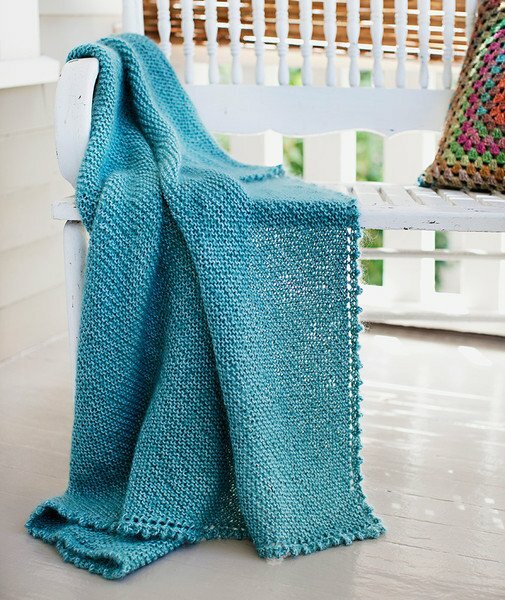 When the knitting's this simple, it's all in the yarn. So choose something yummy! Size(s): throw: 42x42", afghan: 52x52"